Project managers are hard-wired for planning and looking ahead. So it’s a rare event to get a chance to take a long look back. As he wraps up a career spanning nearly 40 years, 34 of those at Kraus-Anderson, Senior Project Manager Brad Harvey provides some perspective that gives valuable insight into the work, and the rewards, of careers in our challenging, dynamic industry. Q. Run the numbers. How many projects have you worked on in your time at KA? BRAD HARVEY: At last count I have completed 788 projects for 62 different clients while at KA, ranging from a few hundred dollars to the $93 million ADC Telecommunications headquarters. I didn’t care what the size of the project was. Lloyd Engelsma‘s mantra was, if the client needs it, go do it. Q. During your career you’ve touched some of the most high-profile landmarks in the state, including historic renovations for the State Capitol and the Foshay Tower. What do you remember about those projects? Highlights/challenges? BRAD HARVEY: Uncovering work completed by true artisans, work that today could never be replicated. The challenges were protecting existing conditions and surfaces from any further deterioration. Q. You’ve also worked with some very high-tech clients, including the world headquarters for ADC Telecommunications in Eden Prairie. Talk about the scope of that project and its significance as a precursor to our internet age. How did we address that client’s challenges? BRAD HARVEY: The HQ project was built at the top of the tech bubble (constructed 1999-2001). The 3 buildings encompass 500,000 s.f. along with a 1,400 car parking ramp. The design was arrived at by HGA and the ADC design team visiting high tech facilities around the world. The design team took a little of what they saw and incorporated those design elements into the project. The site was surrounded by wetlands, so its environmental impact was a real concern and additional safeguards were implemented. The design incorporated a lot of natural light, which in its day was unheard of. Today it is a common occurrence. We all like natural sunlight. The design is unique to this date and it was planned to lure tech people from around the world to want to come to Minnesota and work in this building. 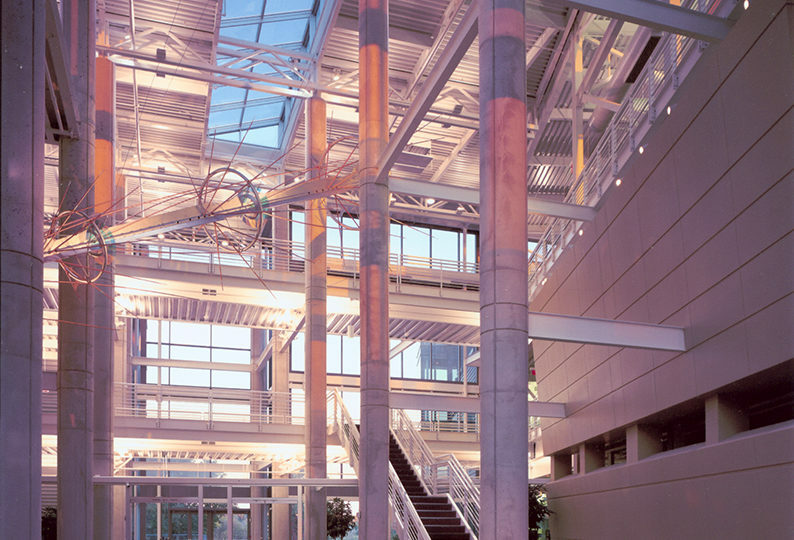 Q: One project that combined both historic renovation and high tech challenges is Valspar in Minneapolis. KA did a multiphase renovation of two century-old buildings to create a high tech research lab that honored the historic architecture and legacy of the building. What are the challenges we tackled for that client? What are you proud of when you think about this project? BRAD HARVEY: By the time we were finished demoing the interiors of the building the only thing left was the floors, exterior walls, and roof. We rebuilt the entire infrastructure of the building and refinished wood floors that were a century old. So during the demo phase we took special care at how we accomplished the demo so we didn’t damage finishes or building structural systems. We figured that some of those timbers started growing about 230 years ago. Another unique aspect of this project was its historic significance. working with the State and Federal Authorities was another challenge as the building needed to be restored to its originality as much as possible. Q: Other MN Fortune 500 clients you’ve worked for include Target and Ameriprise. BRAD HARVEY: Yes, at the time it was really Dayton’s in Minneapolis. We did a number of office and retail renovations for them. Q: One of your more recent projects was traveling out to Watford City, ND to build that community’s new state of the art high school. What were the challenges of that project and how were they handled? BRAD HARVEY: The location, the availability of qualified man power was the most challenging. Everybody came from somewhere else. It was a mild winter by North Dakota standards; however workers still worked when it was 10 degrees. The winds were unbelievable. We had days of sustained winds of 40-60 mph. There is a reason there are not too many trees in western North Dakota. A unique aspect of the site is that we needed to sub cut the site about 30’ once we did that we actually found petrified tree trunks. 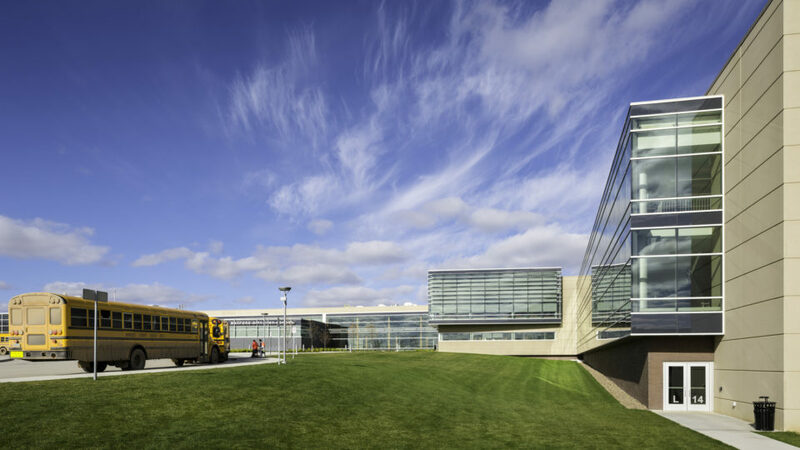 We utilized prefabricated structural systems, precast concrete wall systems and pre-assembled curtainwall systems as much as possible to expedite the installation process. Q: Is there a favorite project, or a favorite day on the job that stands out for you? BRAD HARVEY: In general just being part of a project and seeing it through to its completion is very rewarding. The ADC projects stick out as favorites, but also doing work for the TV networks at the Metrodome for the World Series and Superbowl were favorites. Oh, and then Valspar ……..I could go on and on. Q: What, on a high level, has changed the most dramatically about the project manager’s job during your career at KA? What has stayed the same? BRAD HARVEY: Technology. When I started we had a calculator, that was it. We also had a car phone but that was attached to the car. Communication, whether it is written or verbal is the key to any success. Q: Advice to our next generation of project management? BRAD HARVEY: Be open minded, think outside the box, there is always more than one solution to any problem. Every project is important regardless of size. Brad My hopes for you are a very successful retirement. Your dedication and Commitment to Kraus Anderson and your clients is only paralleled by the respect your received from your clients, vendors and coworkers. It was a real pleasure to work along side you as we matured in this industry. Lots of laughs and good times along the way. Hope to see you soon around the hood or Golf Course. Best of luck to you and your wife… enjoy the time off… it’s well deserved!!! Thank you for letting me be involved with ADC and other great projects over the years. If there was a PM hall of fame… you would be in it! Thank you!!! Congratulations Brad. You have been a role model as a professional, hard-working, conscientious and organized leader at KA. You will be missed. Enjoy retirement! Congratulations on your retirement. Now it’s time for some well deserved R&R and a change of pace. I enjoyed working with you, especially on the Watford project. KA will miss your talents and professionalism. You have remarkable qualities as a super human being. Your kindness and caring as a neighbor made a huge impact on us. Congratulations Brad! I met Brad as a boy and as he grew to be a young man I knew there would be great things happen in his life. I am very proud to say I know this special guy. I wish great things for your retirement. Good luck Brad on part two of your new journey, we wish you all the best. Please keep in touch with us old KAer’s…. Congratulations Brad, hopefully many hole-in-one’s to come. Your integrity on KA’s behalf through the years is a shining example that all of us at KA should try to emulate.